The snowy art is full of magic in this classic festive rhyme: a family favourite. Share it on Christmas Eve as you listen out for Santa. Are you eagerly waiting for Christmas? Does it feel as if the wait will never end? 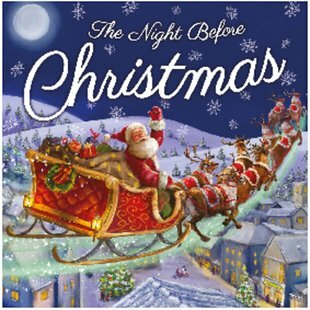 Celebrate the magical suspense of the night before Christmas in this classic poem. Rhyme it aloud and look for details in the beautiful pictures. See how Santa and his reindeer arrive one snowy Christmas Eve. Then Santa clambers down the chimney to fill stockings by the fire. Can you hear him? What’s that clatter on the roof?